You’ve completed 200-hour training, and you feel pretty grounded in your overall knowledge of yoga. Your practice has improved, you know about breathing and meditation and the yoga lifestyle. But you’re still looking for more. 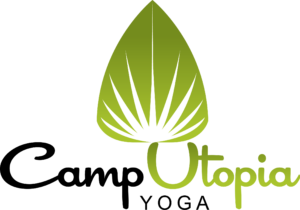 Camp Utopia’s 300-hour advanced training is your next step to mastery. With your choice of workshops, one-on-one coaching, teaching and training practice, deeper yoga studies, and career development, we believe that our advanced training will help you grow into a confident, competent yoga professional. Together, we’ll design the best curriculum for you, and then help you turn your goals into realities. You will finish ready to take your teaching to the world. Advanced teacher training consists of a total of 300 hours to be combined with a previous 200-hour certification for your 500-RYT. Our 3 modules consist of 3 weekends each + online hours, one-on-one mentorship and group classes to make up 300 hours. Each module is about 100 hours of coursework. Register for one module at a time, or register for all 3 modules to earn your 500-RYT. Awaken the light of your own gifts as a teacher. In this first module we will explore various meditations, mantras and pranayama practices. We will experience advanced asana in our own bodies and alignment. We will embrace our strengths and face our weaknesses as we discover how we can authentically share our passion for yoga. The chakra map will serve as a guiding light towards uncovering our truth path and dharma. How do we find connection between the experience on our mat and our day to day lives? In this module we will explore the benefits and science of Ayurveda and energy of Reiki. We unpack the wisdom and truth that resides within book 1 of the Yoga Sutras and how it applies to our lives and teaching. We will continue to deepen our practice of meditation, mantra, pranayama and asana. How can yoga transform your life, your passion, and your dharma? In this module we will continue our exploration of the Yoga Sutras and begin to see the symbolism and teachings that reside within the Bhagavad Gita. We tap into the vibration of Sanskrit and experience how sounds affect the energy body. We introduce the stories of the Ramayana to be read through the entire course. Our practice and study will continue online for 40 hours of training, learning and discussion. These hours will support the work done in the modules. Five hours of one-on-one discussions with Allison & Shauna to support your growth as a teacher, leader and yogipreneur. Weekend one includes grounding and getting to know each other a little bit, physical practice, meditation, an overview/review of anatomy basics, and a deep dive into the mechanics of the lowerbody – how things work, why things break down, how to assess where the problem is, and how to correct it. We’ll cover bones, muscles, and the latest on fascia, that mystical magical tissue that connects everything. You will be introduced to the assessment tools, correction techniques, and adapted postures that can help anyone feel less pain. This is the science of The Yoga You Need. Weekend two includes physical practice, meditation, m ore practice with the tools of weekend one, and a deep dive into the mechanics of the upper body – how things work, why things break down, how to assess where the problem is, and how to correct it. We’ll continue practicing with the assessment and correction tools, and also begin exploring how yoga works with the other systems of the body to facilitate health and vitality. Weekend three includes learning about our body’s energy and alignment to authentically attune to ourselves and the emotional needs of our students. We will explore subtle body anatomy with the bandhas, nadis and kosha system. Book 2 of the Yoga Sutras provides a framework for us to explore the philosophy of the yoga tradition. In this module, we bring together the advanced practice of hands-on assists, sequencing, theming and cuing. We practice setting the stage for classes and how to make your class a safe space for all practitioners. Learn to be a leader in your yoga community, and find the confidence to be the teacher you are meant to be. Put your teaching skills into practice with planning, marketing and teaching workshops. We dive into the business of yoga to create your mission and your message, so you speak directly to those who are best served by your teaching. Define the teaching job of your dreams and create the life you truly desire. Create great demand for your teaching by finding your niche. In this module we will experience more specialize types of yoga in an effort to unlock your passion and let your unique light shine in what’s becoming a saturated marketplace. Know your value and have the confidence to share your unique gifts with others. Submit your deposit by September 1 & save $500! Fill out your application with a $25 application fee. Reserve your spot with a $900 deposit (we will email you a link). **8-month payment plans available for the 300-hour program. Weekend 1 includes grounding and getting to know each other a little bit, physical practice, meditation, an overview/review of anatomy basics, and a deep dive into the mechanics of the lowerbody – how things work, why things break down, how to assess where the problem is, and how to correct it. We’ll cover bones, muscles, and the latest on fascia, that mystical magical tissue that connects everything. You will be introduced to the assessment tools, correction techniques, and adapted postures that can help anyone feel less pain. This is the science of The Yoga You Need. Weekend 2 includes physical practice, meditation, m ore practice with the tools of weekend one, and a deep dive into the mechanics of the upper body – how things work, why things break down, how to assess where the problem is, and how to correct it. We’ll continue practicing with the assessment and correction tools, and also begin exploring how yoga works with the other systems of the body to facilitate health and vitality. Weekend 3 includes physical practice, meditation, a wrap up of our anatomy study, more practice with all the healing tools we’ve learned, and a deep dive into the practical ways we can use them: on our own bodies, our friends/family/loved ones, our one-on-one private healing practices, specialty audiences, and mat classes. Although we’ve been practicing poses, meditation, and pranayama all along, this weekend will take us deeper. For a free consultation to discover if this program is your next step, email Shauna or Allison. Or begin your journey today by filling out our online application and submitting your $25 application fee. I had been teaching for 8 years prior to the training. I wanted a deeper understanding of yoga and to refine my teaching style. My classes have become more mindful. I have a much larger “tool box” which adds to the variety of classes that I teach. I’ve taken 8 other types of yoga educational classes and Allison is by far the best. Her knowledge, energy and passion are contagious. Throughout my yoga teacher training, I have become an effective teacher with a toolbox of shills to prepare a yoga class. Personally, I have seen growth and a change in my family and home life. My husband even commented my participation in the training has changed the atmosphere of our family and home life in a positive, loving, more balanced way. Throughout my yoga teacher training, my physical and spiritual perception grew. Allison is so dedicated and prepared. It was an amazing experience to get my teacher training with a beautiful human like her. She will make sure you become the best teacher you can be. I believe that teaching yoga is not necessarily about looking like someone on Instagram, but learning about my body and finding my perfect posture. Allison helped me find confidence as a yoga teacher. I feel more optimistic and open to opportunities in becoming a yoga instructor. A typical weekend will include a lot of physical practice mixed with reasonable breaks and discussion time. Follow your dreams to our advanced program. 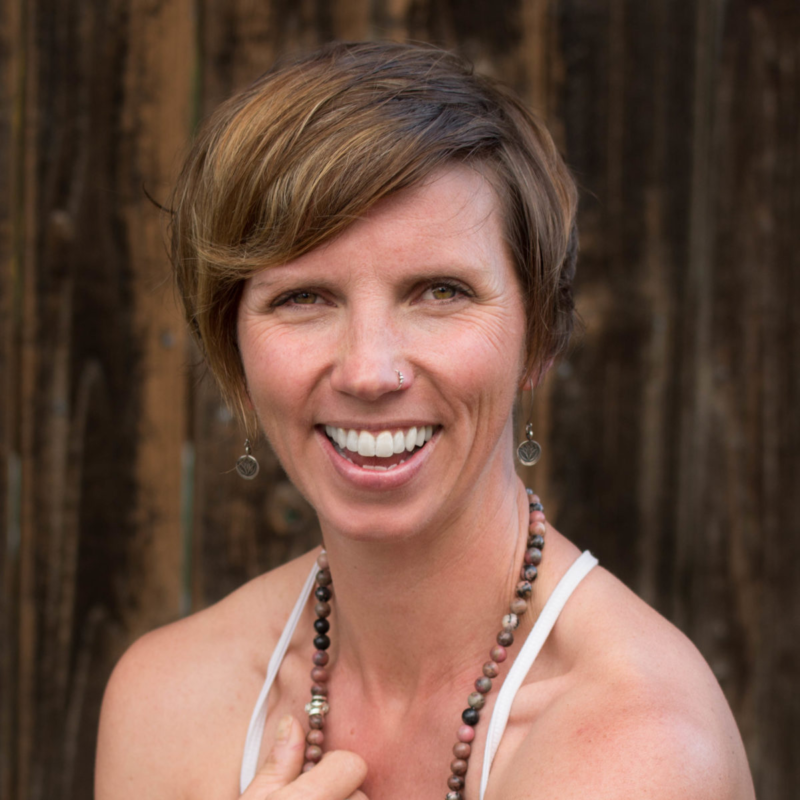 Shauna is the owner of Shri Studios in Longmont and manages and teaches in the Powered by Shri Yoga program at Longmont Climbing Collective. She has been practicing yoga for over 20 years and has been teaching all ages and skill levels for 8 years. She was initially drawn to yoga as a supplement for her dance technique classes in NYC. Shauna quickly realized there was more going on in her practice than the physical experience, which motivated her to learn more. The basis for her training has been in the Anusara Yoga system and has been greatly influenced by her experiences in AcroYoga and she has recently completed her Aerial Yoga Teacher training. What can you expect from a class with Shauna? To feel grounded and calm. Shauna expertly guides her students deep inside their own bodies and minds, where they will discover their own inner wisdom and true teacher, themselves. Meet Shauna at the next Yoga Teacher Talk in Longmont. I’m Allison Rissel and I believe one good yoga teacher can change a life and create a community. I am a consultant for yoga teachers, a yoga teacher trainer and a yoga therapist. I became a yoga teacher in 2006. In addition to my master’s degree in exercise physiology, I have completed over 1,600 hours of yoga and yoga therapy trainings. I teach weekly group and private yoga therapy classes in Longmont, Colorado and I specialize in working with people in chronic pain or pre/post-surgery. I believe in the power of community and I’ve dedicated my life to helping build yoga communities. I’m the co-founder of the North Dakota Yoga Conference and I’m the president of the non-profit, Yoga Teachers of Colorado. I offer in person 200 and 300 hour yoga teacher trainings in North Dakota, South Dakota, Montana and Colorado where I train yoga teachers to be knowledgable, safe, ethical and authentic community leaders. I also offer consultations for yoga teachers looking to create communities through conferences, studios, workshops and events. I’m an extroverted optimist and I love hiking, skiing, being outdoors and enjoying a craft beer with my husband, Sean. Meet Allison at the next Yoga Teacher Talk in Longmont. To apply for our advanced training, please fill out this application. Note: Before our first day of training, you will be asked to submit a copy of your 200-hour yoga teacher training certification from an RYS. What else would you like to share with us? Do you have any questions?